Considered a great hiking country you’ll find plenty of overland opportunities in Norway… whilst others might prefer to sail the archipelago of the Lofoten Islands. 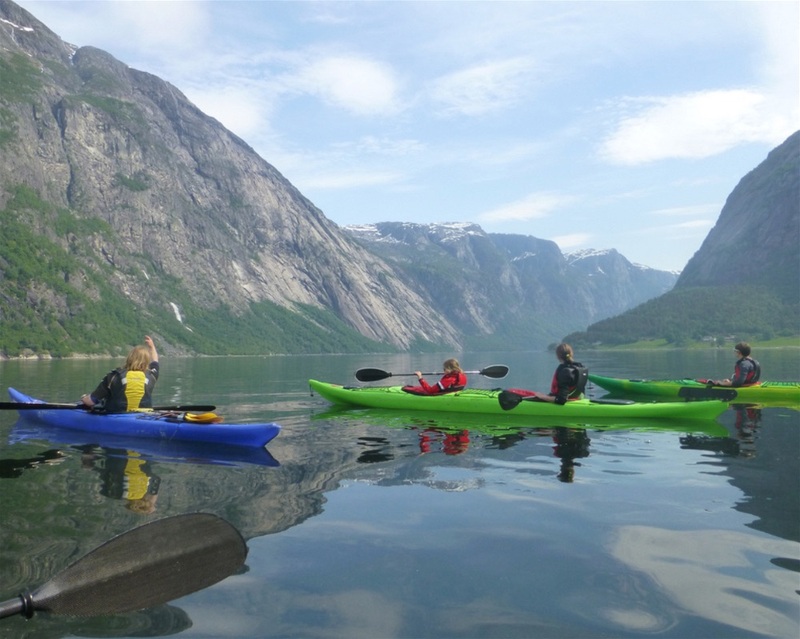 But have you ever considered a Fjord Safari by kayak? It’s a truly epic family experience not to be missed!! 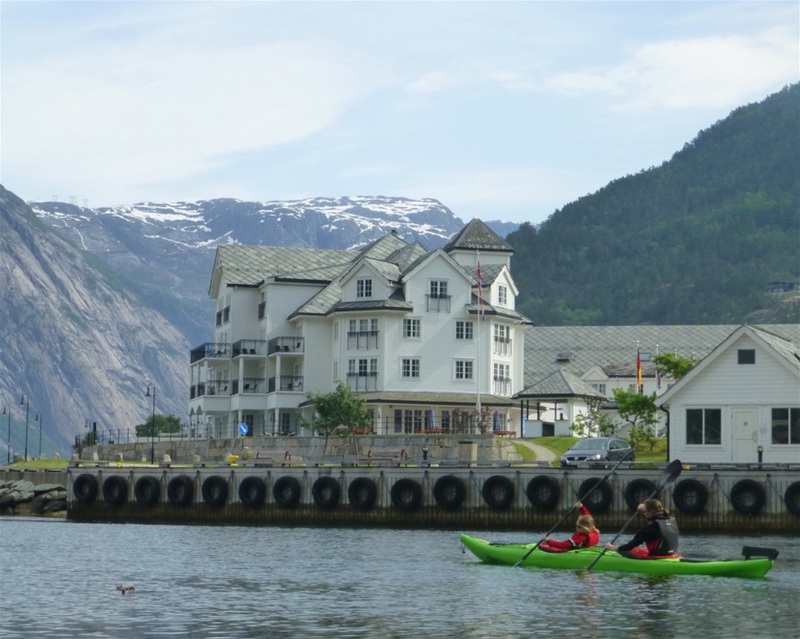 Travelling south from Flam you can’t fail to be impressed….. It’s a ‘road trippers’ ultimate experience behind the wheel… with Norway springing surprises across pretty much every corner. 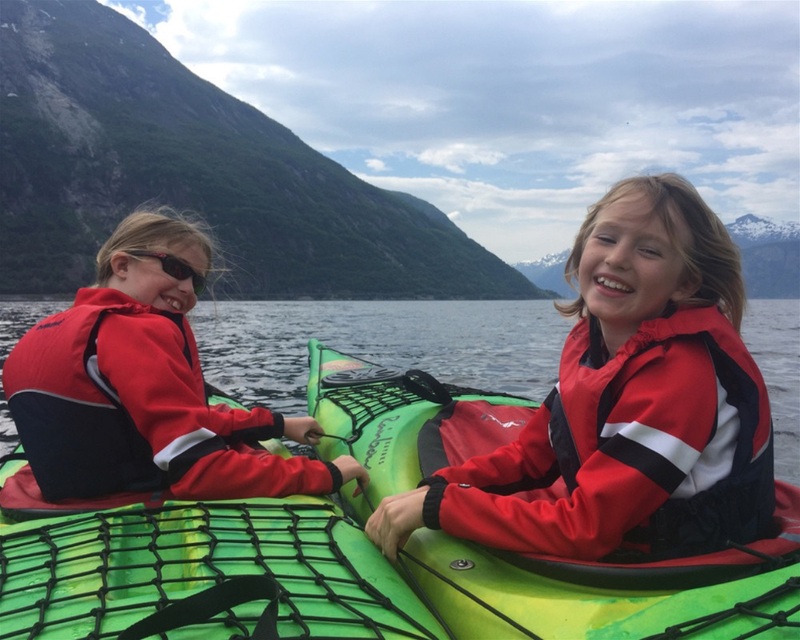 Over the course of our trip across Norway, we’ve begun to become accustomed to looking before reacting… just that dawning realisation creeping across your child’s face as she she’s yet another ‘view of a lifetime’! 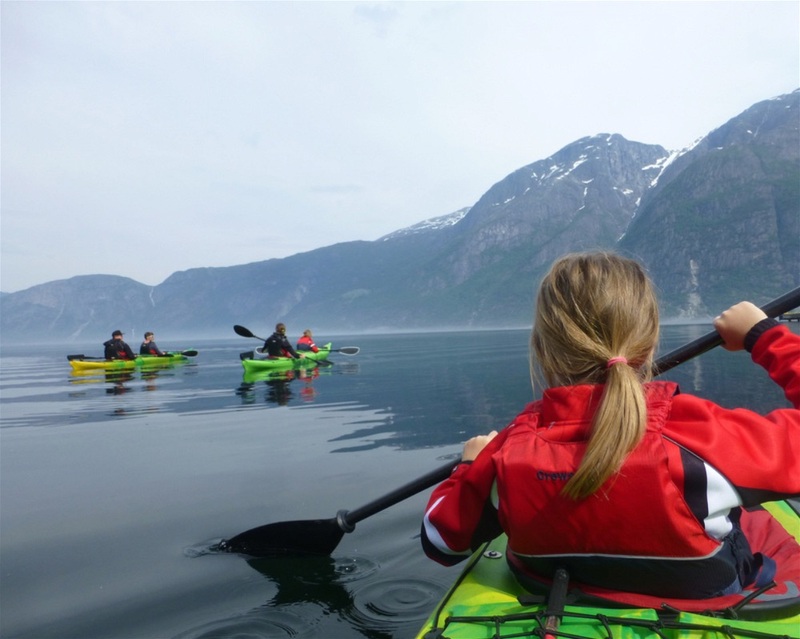 Did you know that Eidfjord is only accessible by spiral tunnels or ferries??? Nor did we, but in our case it was via the tunnels. It will still go down as one of our trip highlights to encounter a truly amazing underground fully functioning roundabout within a tunnel… These Norwegians sure know a thing or two about bridge building!!! So we weren’t too amazed to find ourselves in a world record holding 24km tunnel north of Flam… just amazing for our girls to experience! But equally amazing to hear this was broken just 2 days ago by a Swiss tunnel… one to try perhaps next summer!!! 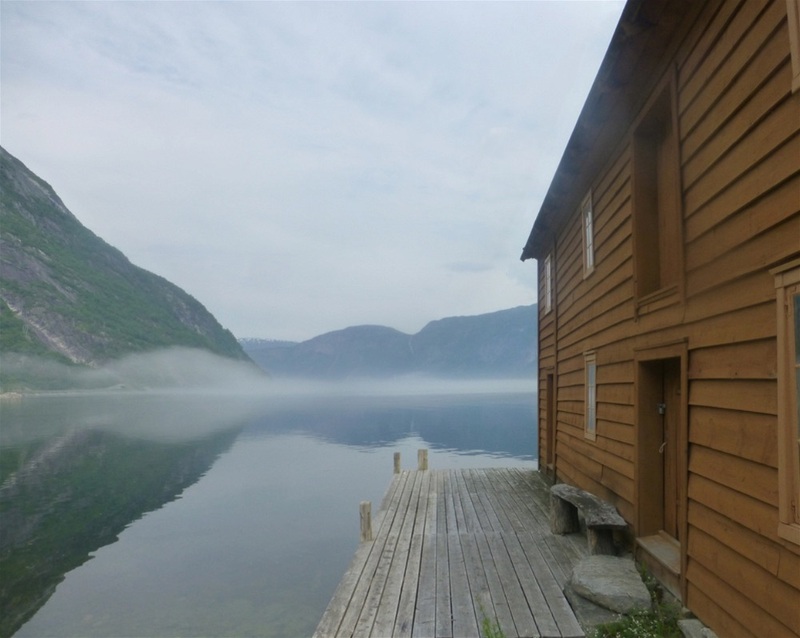 Met by Björn our guide from Flat Earth, we were blown away by the early morning convectional fog drifting aimlessly across the fjord… a hugely atmospheric start! 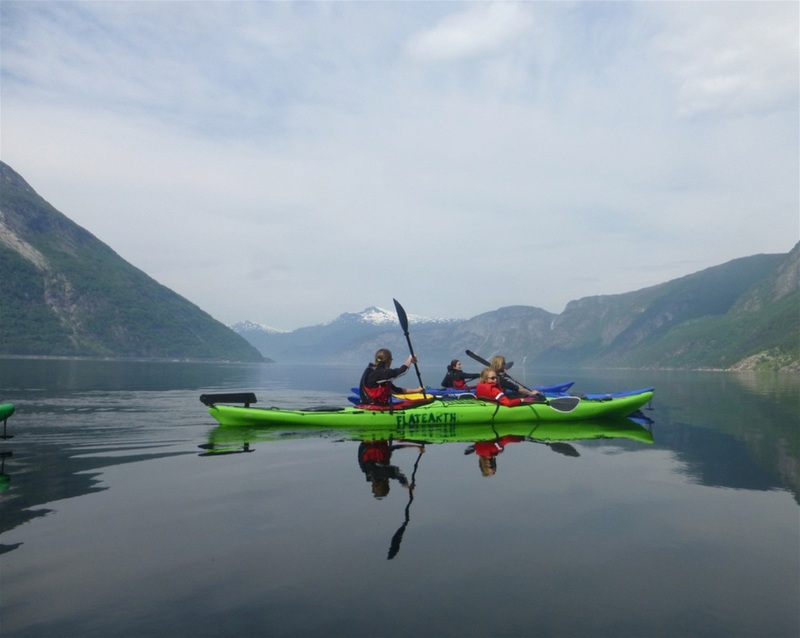 Joining a group of great people, we headed out across the serene ‘non motorised’ fjord on some superb kayaks… If pushed I’d have to say that as the year has gone on, we have adopted kayaking as our family favourites across this trip. Especially loving our recent trip to sea kayak in Dubrovnik…. so it’s great to compare these experiences! 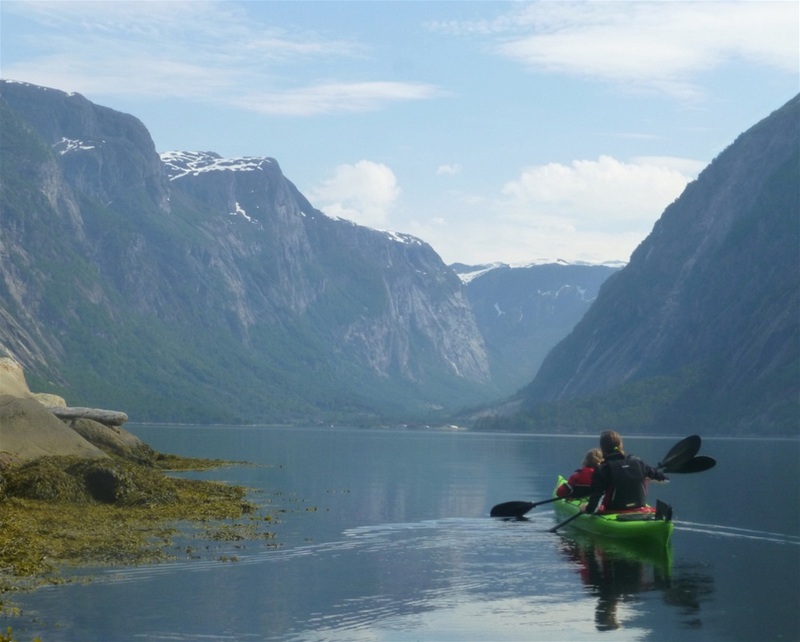 Only a kayaking tour takes you through the most spectacular parts of the fjords. Including the narrower, remote branches, accessible by boats or kayaks only. 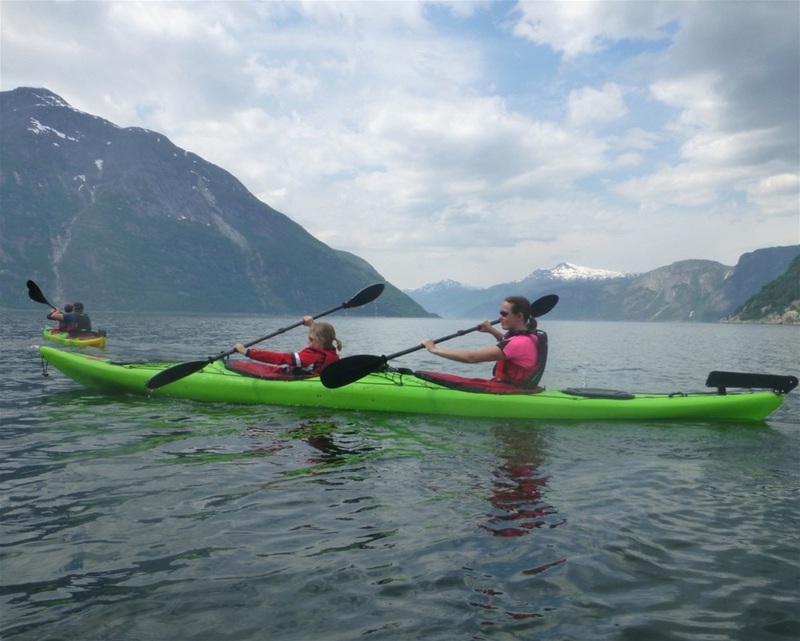 It’s a truly memorable family experience… in perhaps some of the most beautiful and dramatic scenery in Europe. Can there really be a better way for young children to learn about glaciation? In awe of our surroundings, sometimes you need a reminder of the vast forces of nature – that there are some things, even in our modern society, that cannot be tamed. 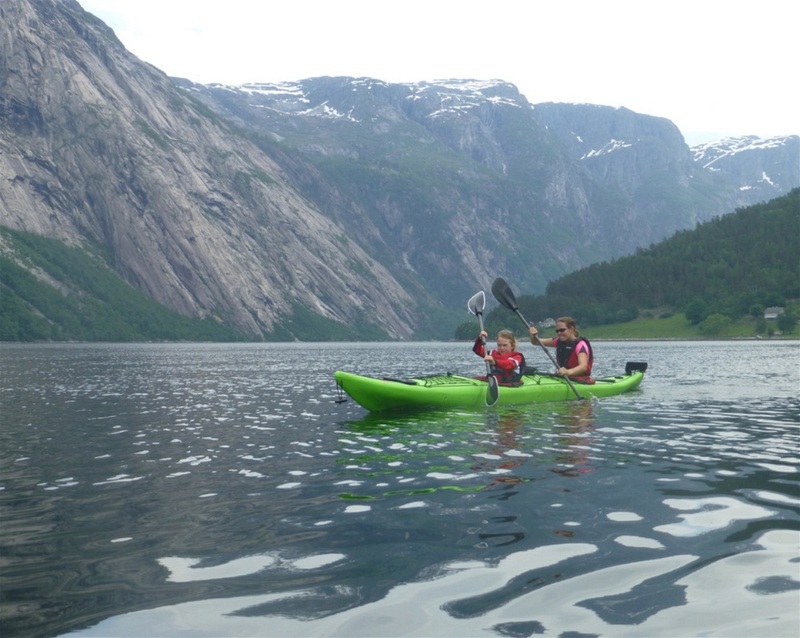 And we reckon paddling out into an immense fjord certainly ranks up there…. Perhaps the best part of the whole day’s experience was the opportunity to get in and out of the kayak to experience nature at first hand…. 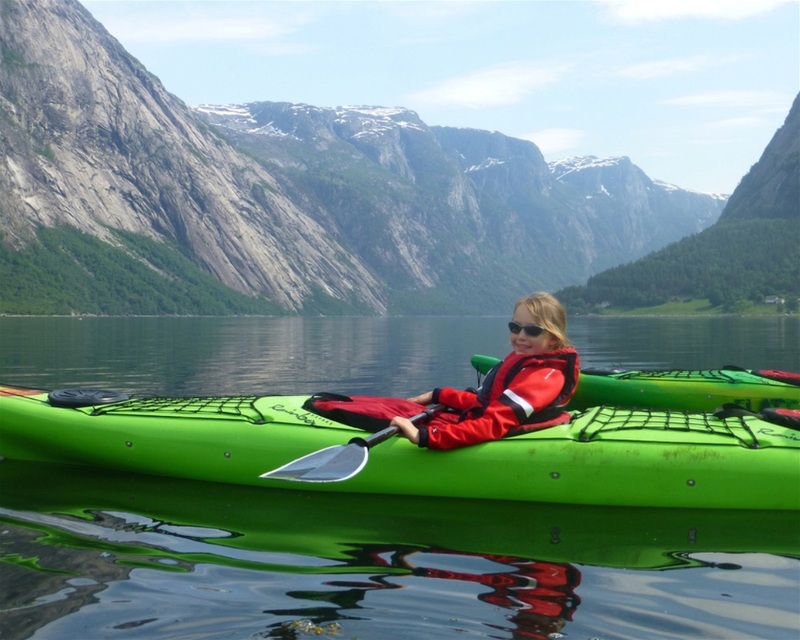 Either crawling across boulders, clambering up hills or even the trek across the fjord to view the impressive waterfall…. 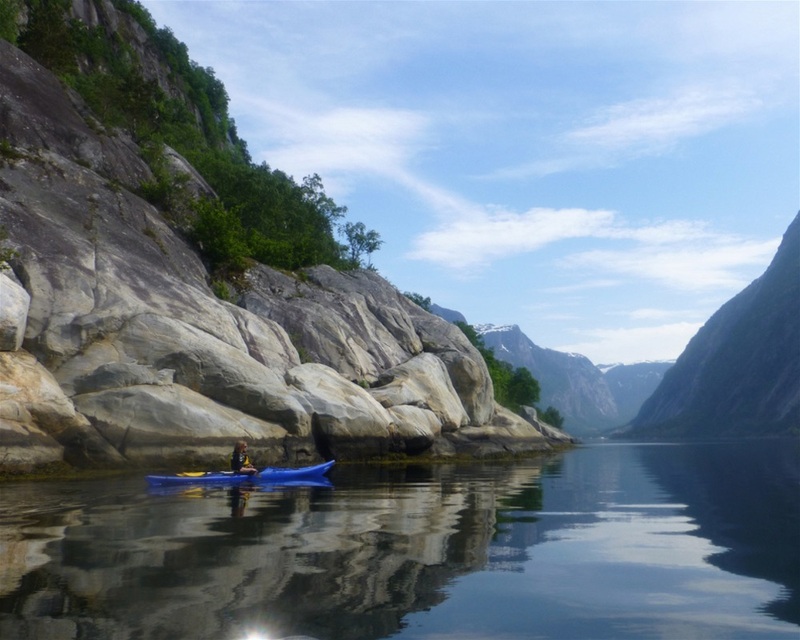 There’s no doubt where these fjords take their exceptional natural beauty from…. it’s so easy on the eye as you compare the glassy black marble waters with the narrow and steep-sided crystalline rock walls that rise up to 1500m from the Norwegian Sea… and when you consider you can walk along the glacier above our heads… it just reminds you how small we really are! But before too we headed back towards the well equipped boat house beside the main marina close to the base of Flat Earth…when sadly the water gods intervened….. Tomorrow should see us head onto Flat Earth’s climbing/bouldering rock face.. both girls can’t wait for the sun to set and rise again!! It’s days like this which remind us just why we’re doing this European Roadtrip Adventure! Top tip number 2 – Due to the wild camping, its the type of country you can take your time to enjoy. 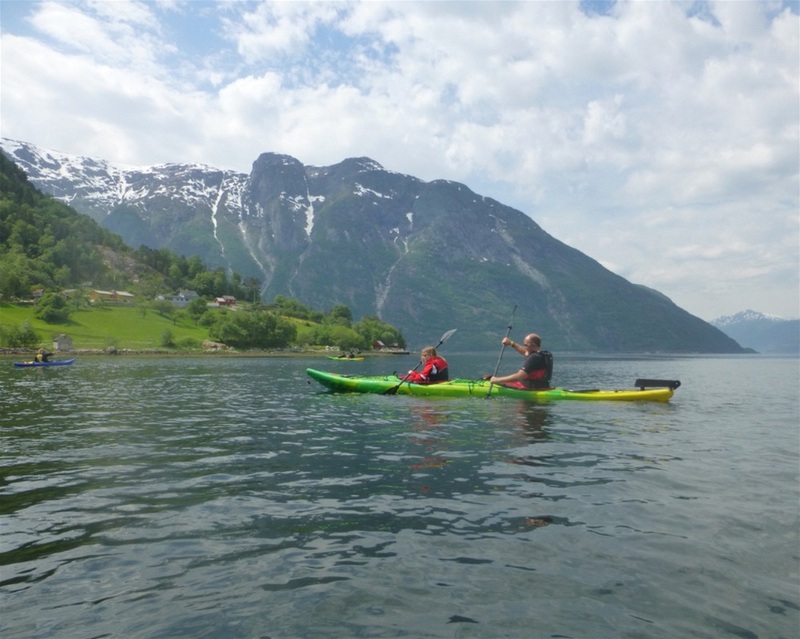 Especially if you can find adventures along the way… just head for Voss, Lillehammer or Eidfjord. Just leave enough time as you’ll love each! Top Tip Number 3– Always try to plan in adventures for the morning slots. The activities are less full and you can always go back in the afternoon to find lost action cameras!!!! 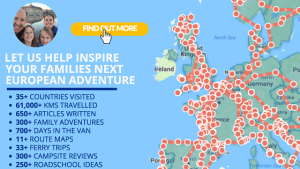 Summary Are your feet itching to find some new family adventures? Do you love combining family time with some healthy outdoor adventure? If so, we hope we can offer you some ideas & inspiration to make your next UK or European holiday more active, adventurous & interesting.